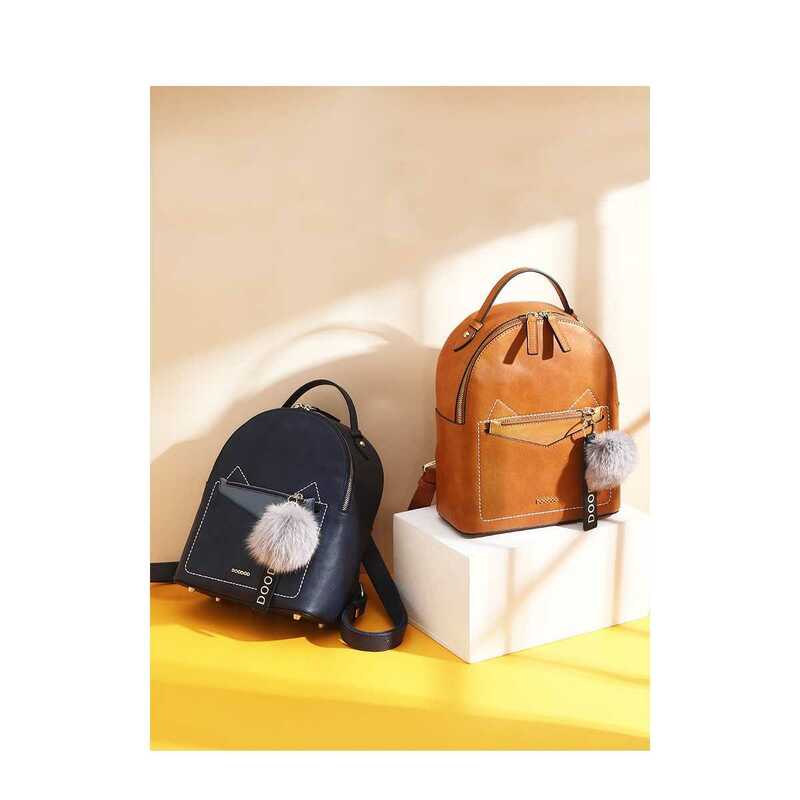 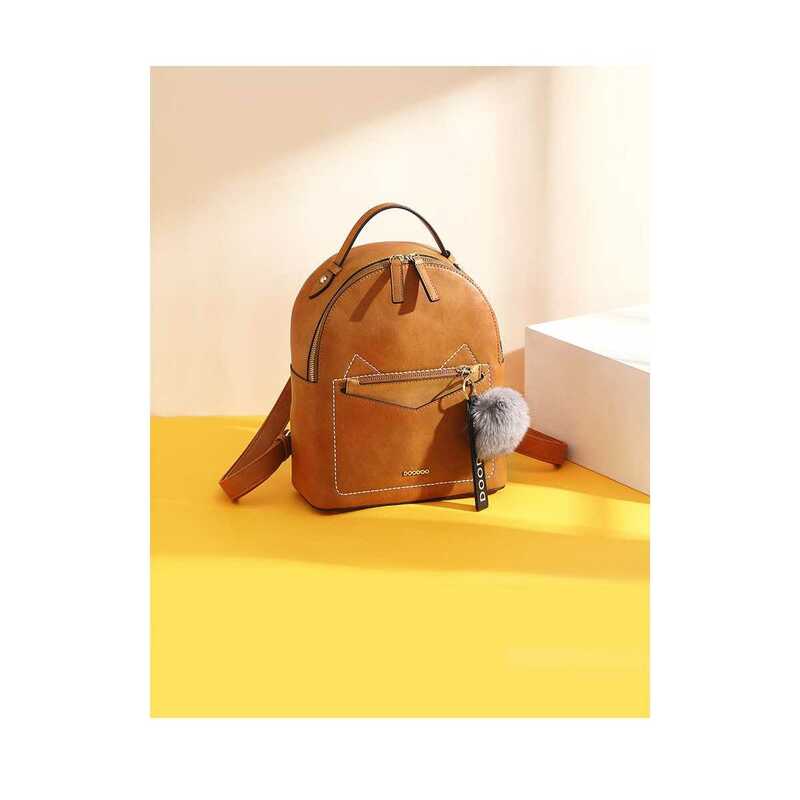 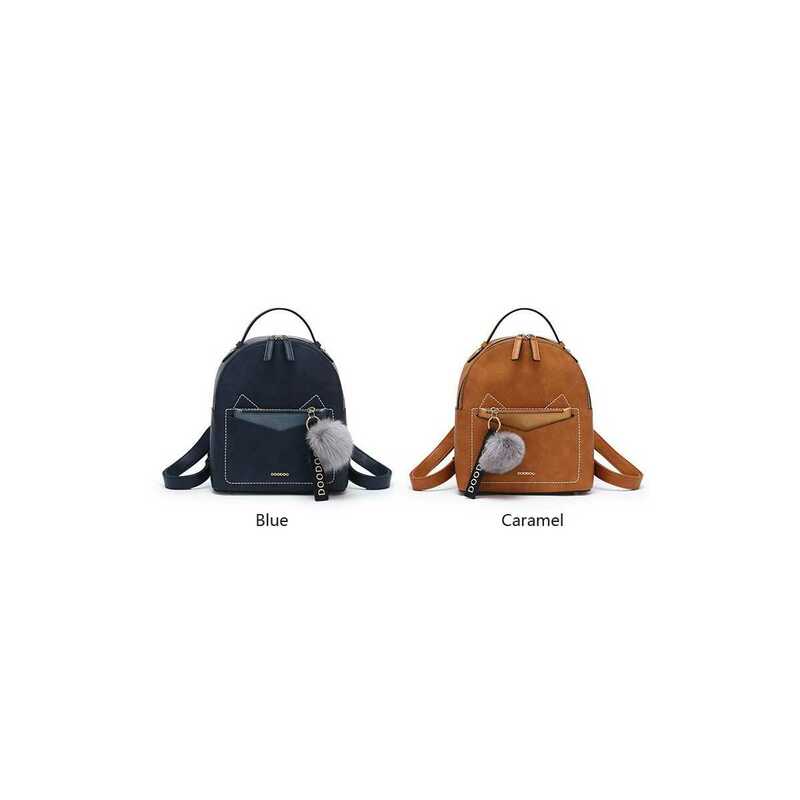 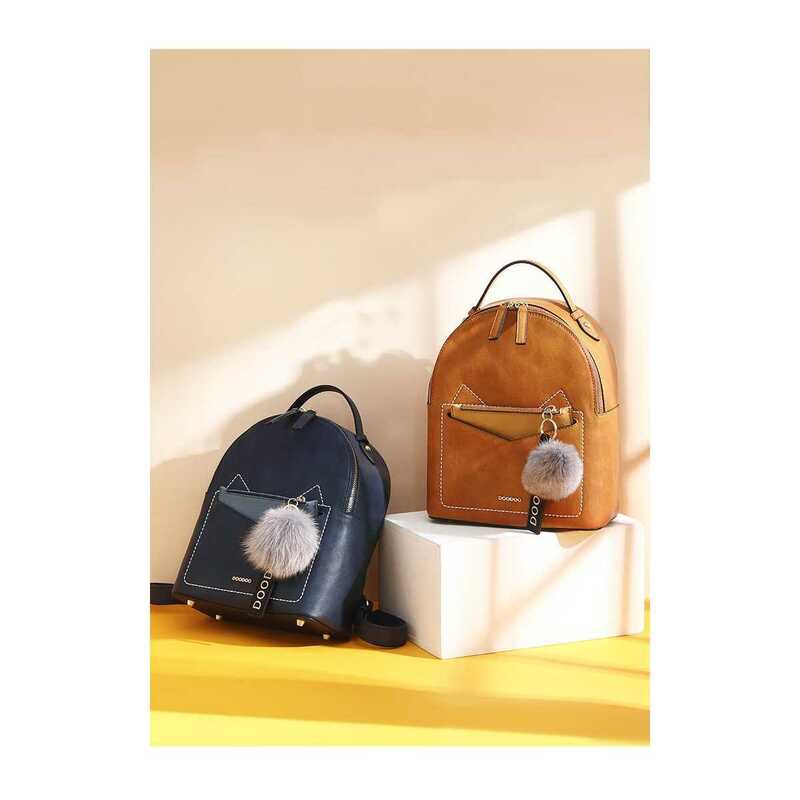 This fun PU leather bag backpack is strong and durable as well as stylish! 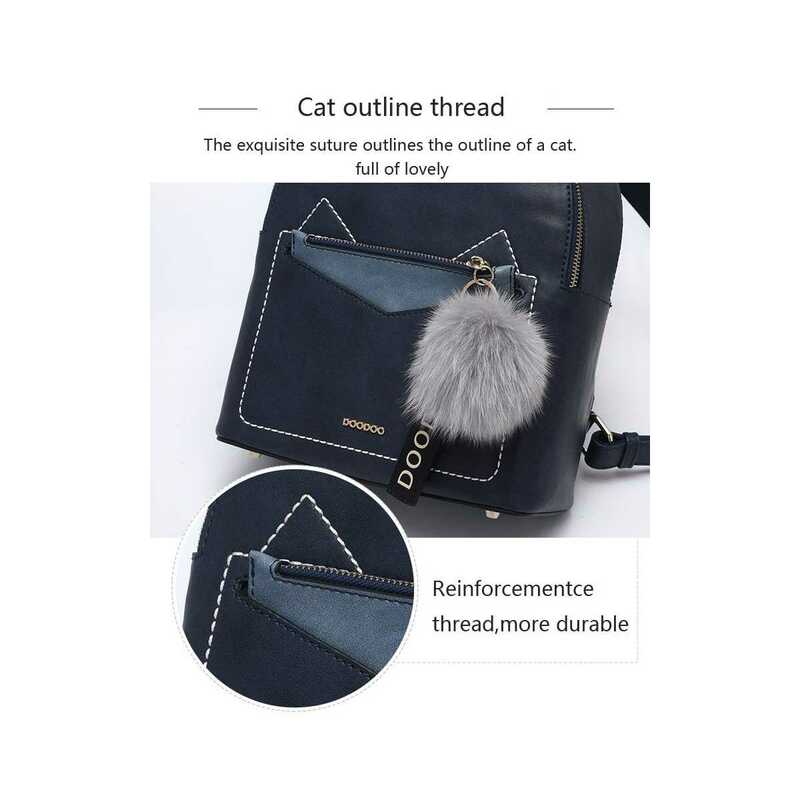 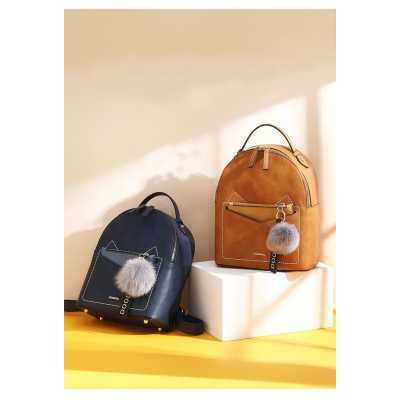 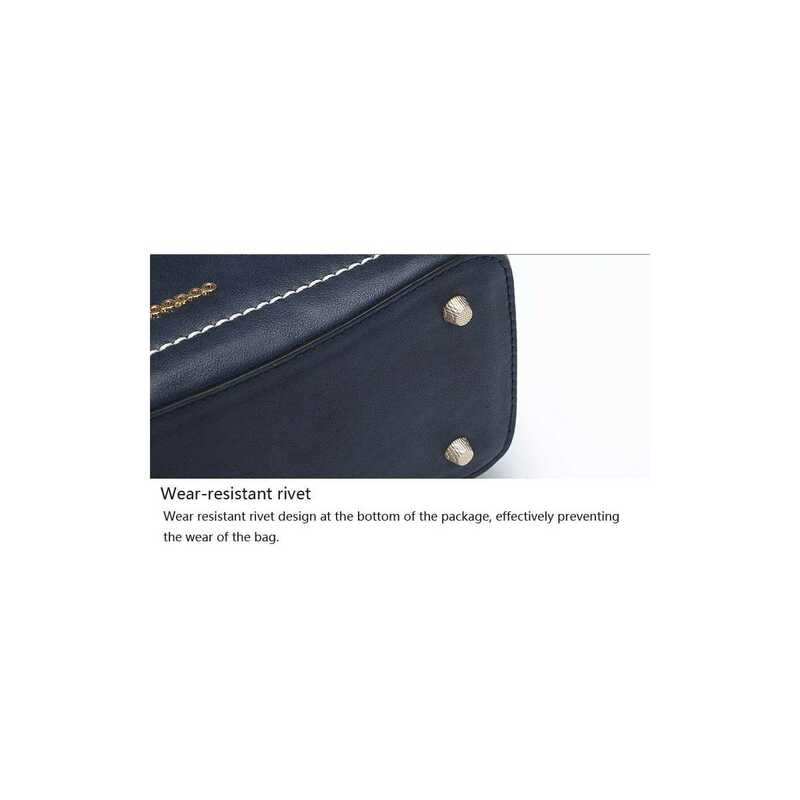 The cat ears theme is embroidered tastefully on the front area of the bag. 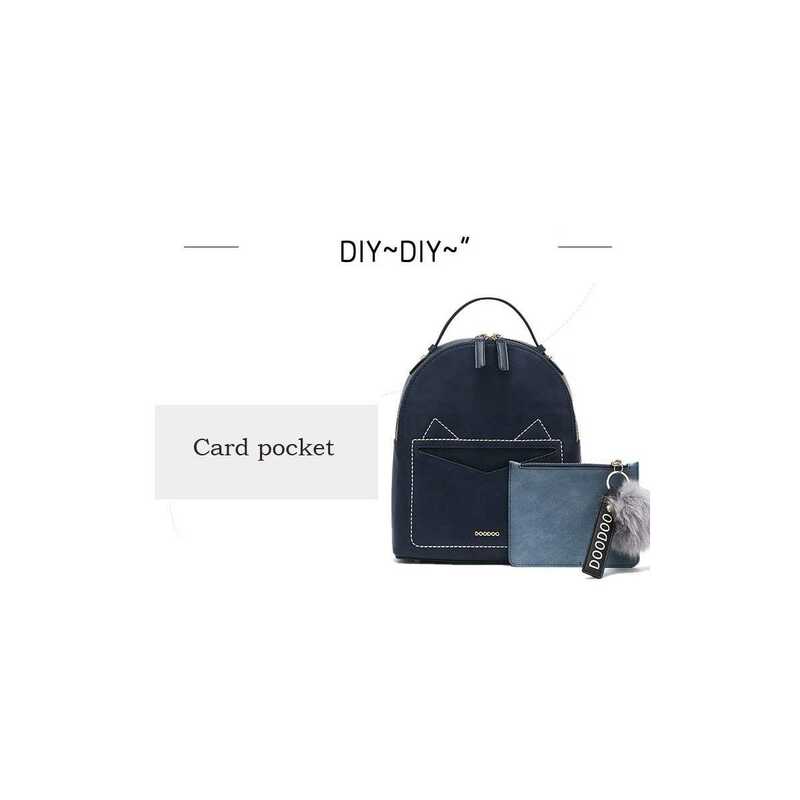 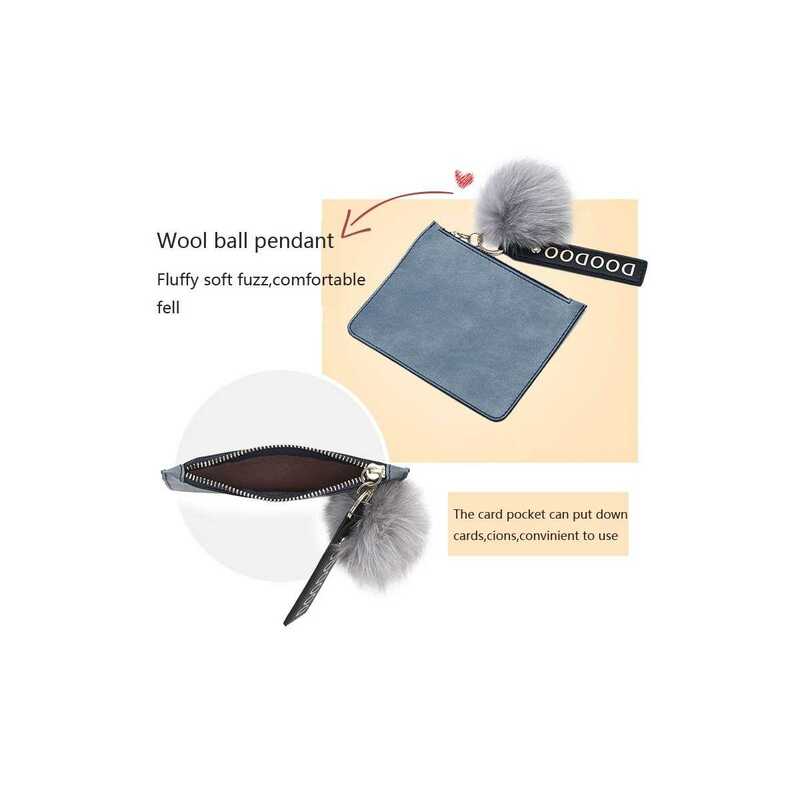 There is a slim front pocket containing a card holder pouch, with a fun, furry ball pendant attached! 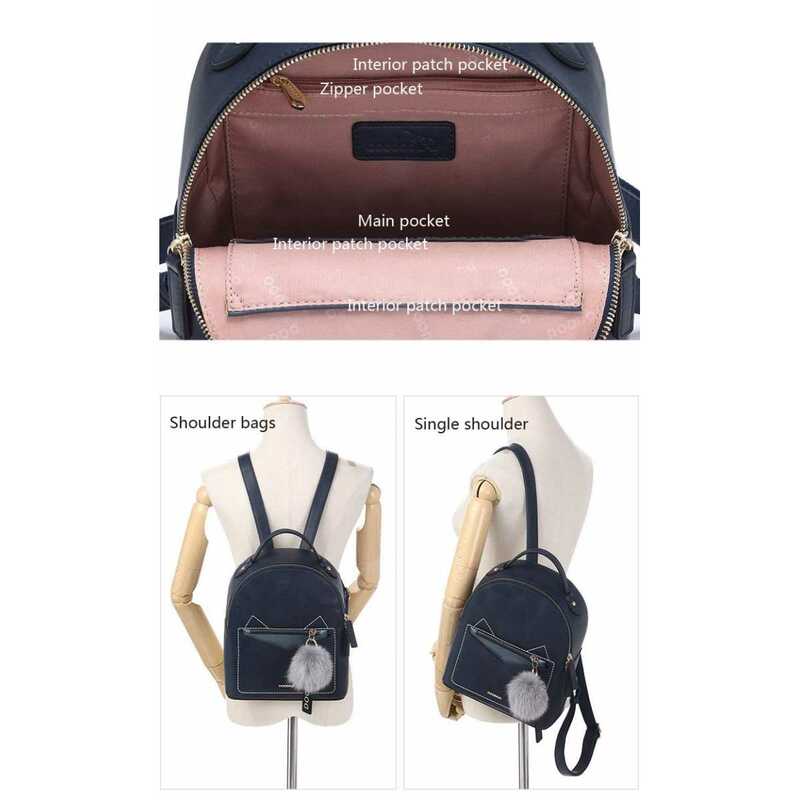 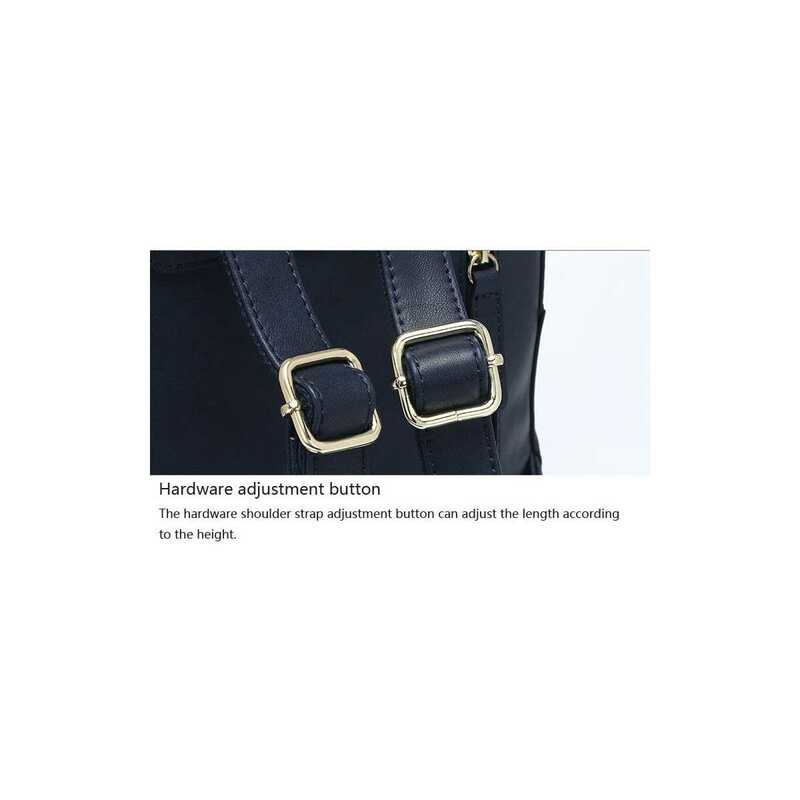 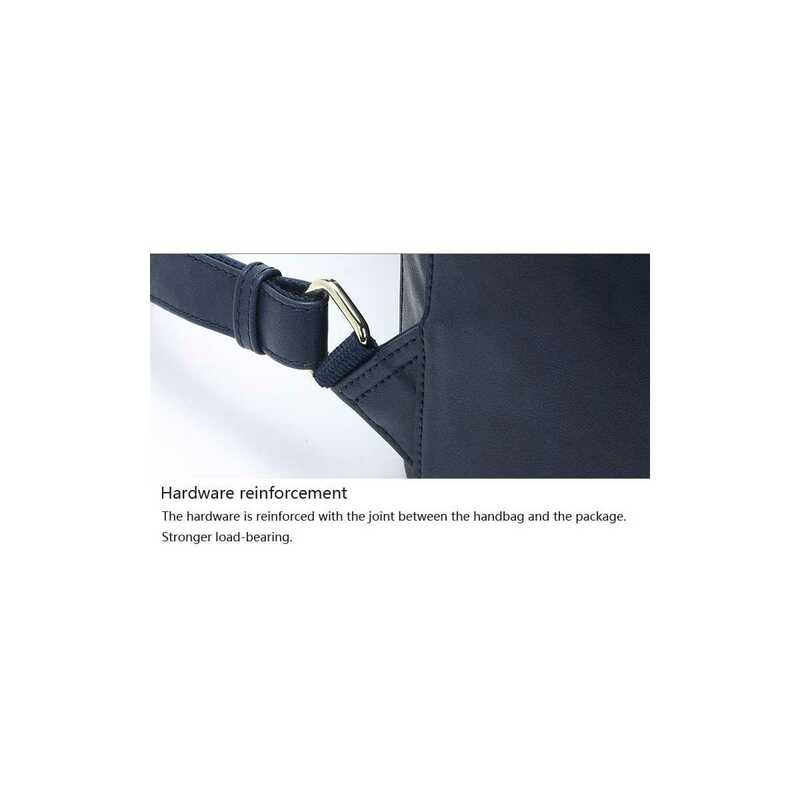 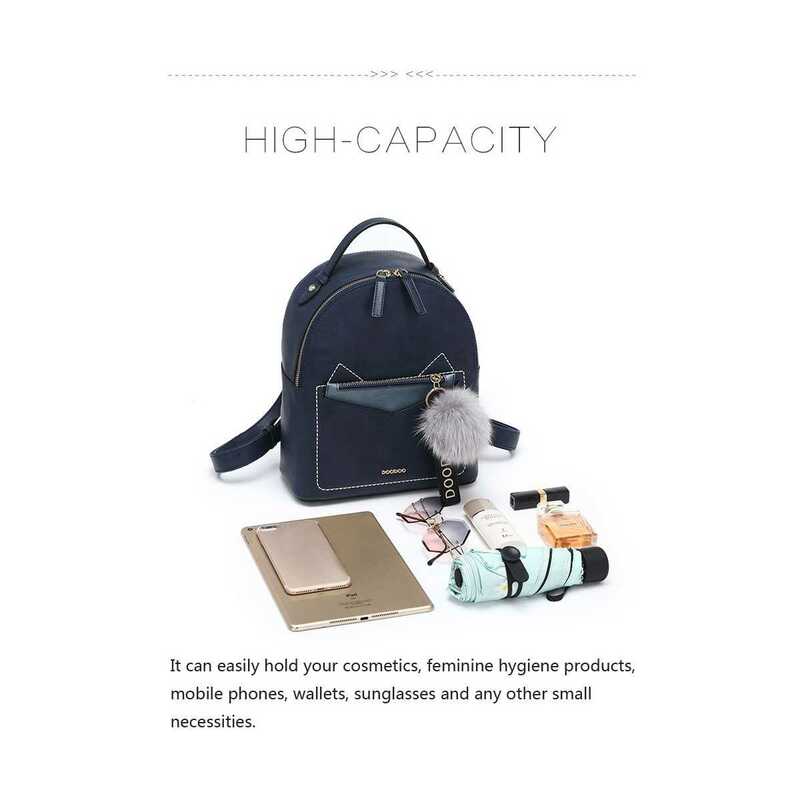 The back of the backpack features another zipper slot, great for storing things like mobile phones, etc. 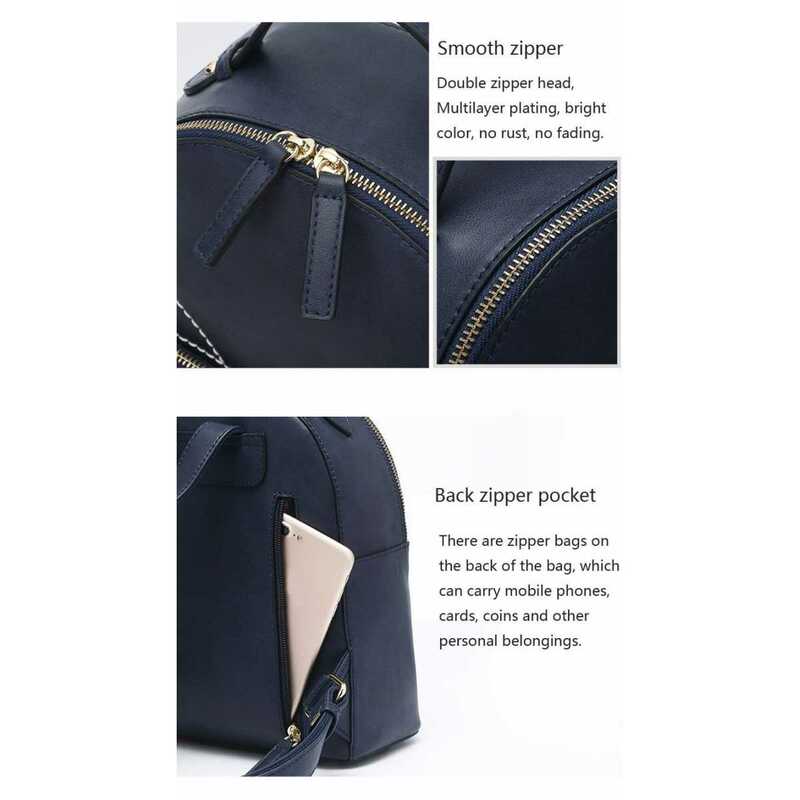 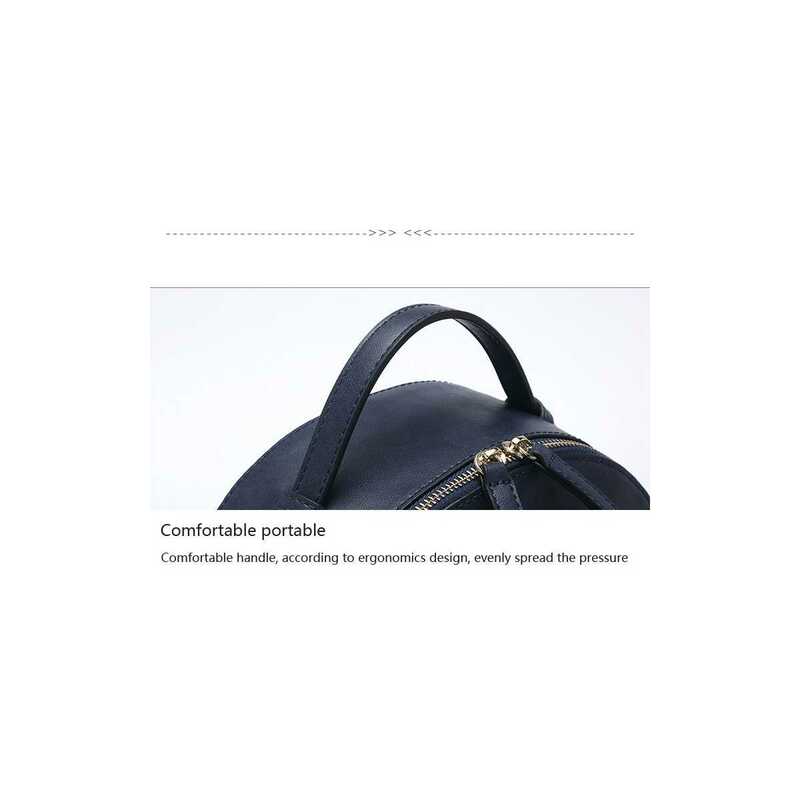 The interior features a zipper pocket and multiple other storage pockets.